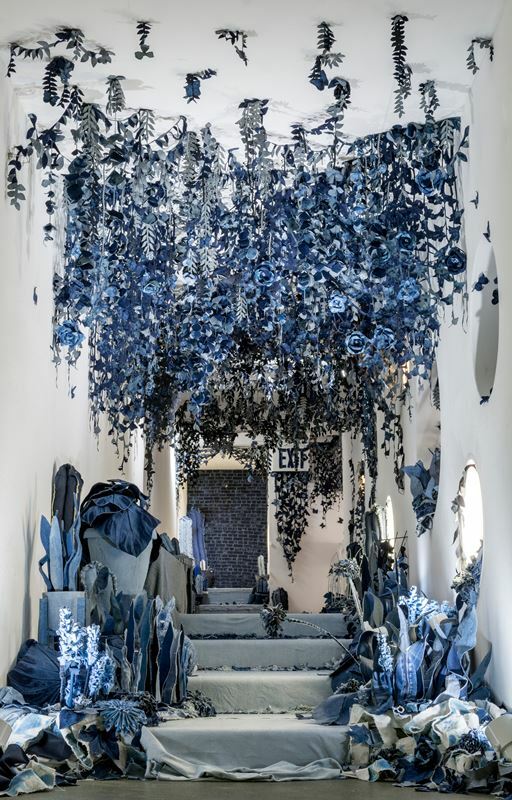 British artist Ian Berrry just opened his new and spectecular museum show The Secrect Garden. The latest project from the very talentful Ian Berry is launched in Ney York at Children’s Museum of the Arts in Manhattan. 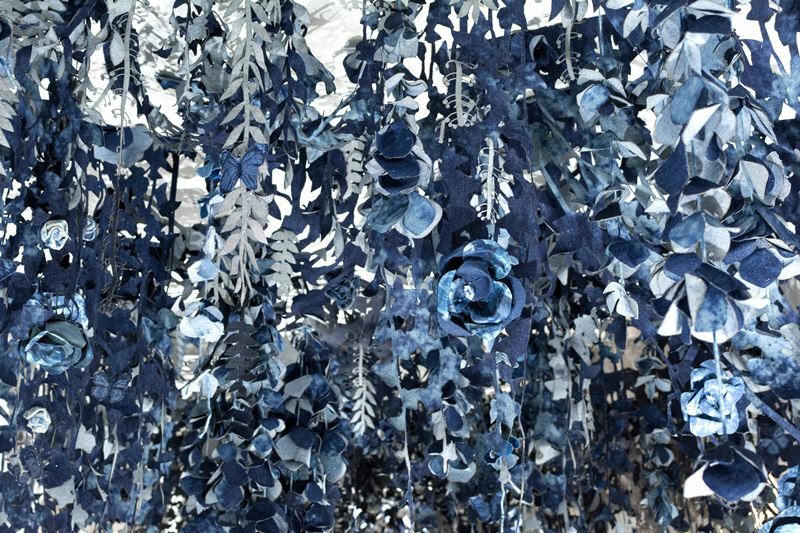 After a busy December month of showing during Miami Basel Ian returned to New York to install an installation of a garden. 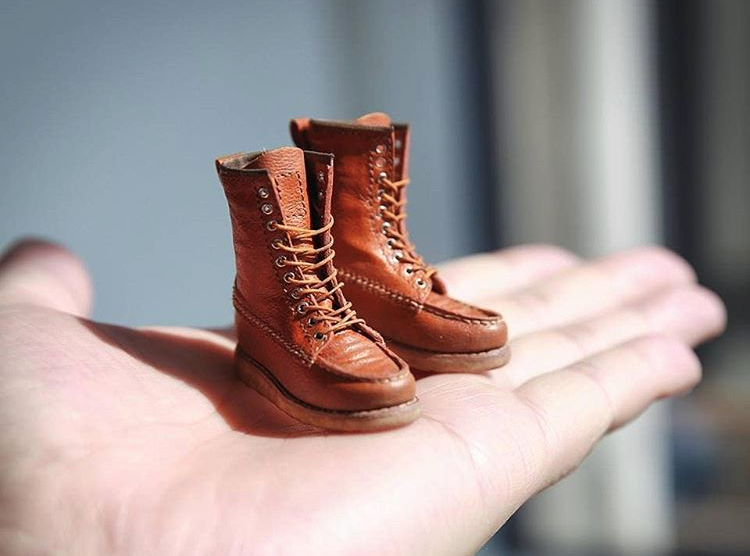 All made in his trademark denim. 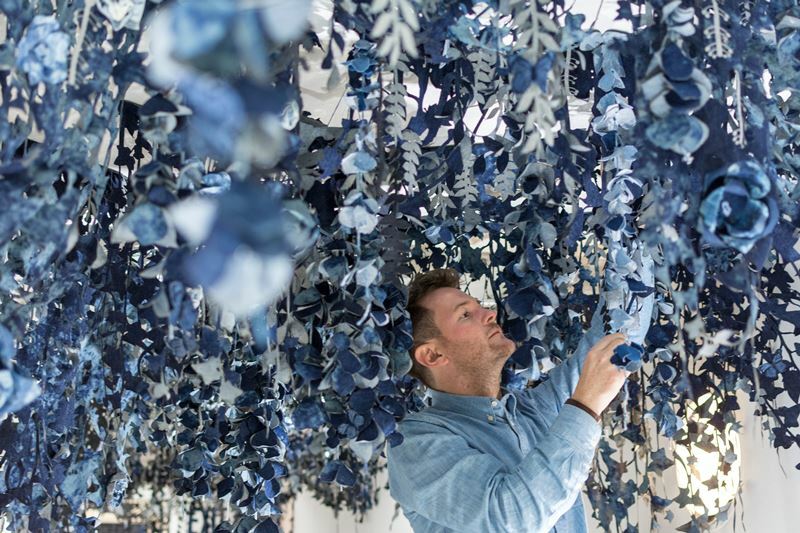 Ian Berry’s idea behind his project The Secret Garden is to inspire young kids with art. As New York is famous of his parks, not many of the children have their own gardens. The Secret Garden is a place where they can play and get inspired. 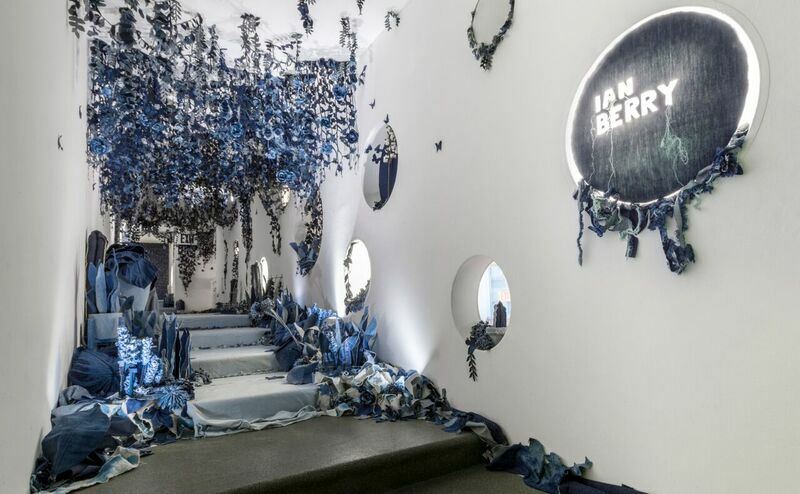 Ian Berry couldn’t create The Secret Garden without the help of professionals from the denim industry. He worked for this project together with Italian company Tonello. 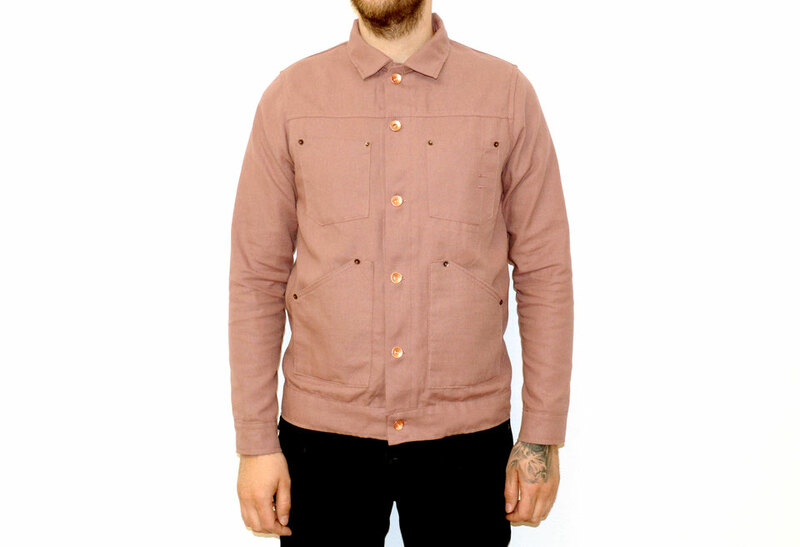 Tonello is a family runned business and global leader of high-end garment finishing technologies since 1981. 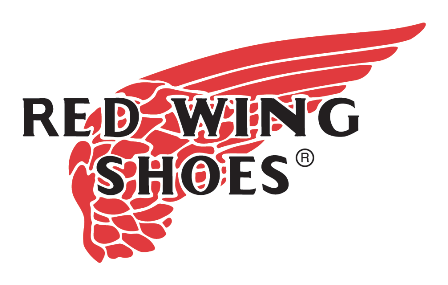 They has been contributing to the success that made in Italy has enjoyed all over the world. Tonello helped Ian Berry with much of the technology needed. 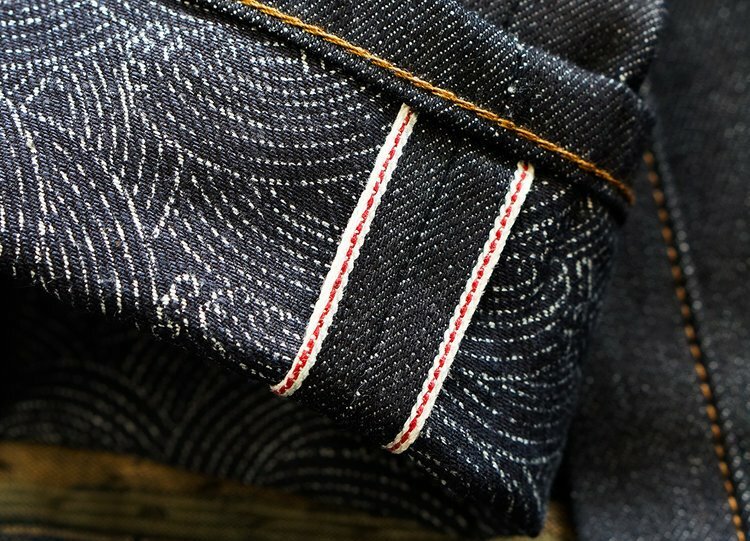 For the first time he lasered a lot of the denim and used special washing techniques to play with the shades of denim. 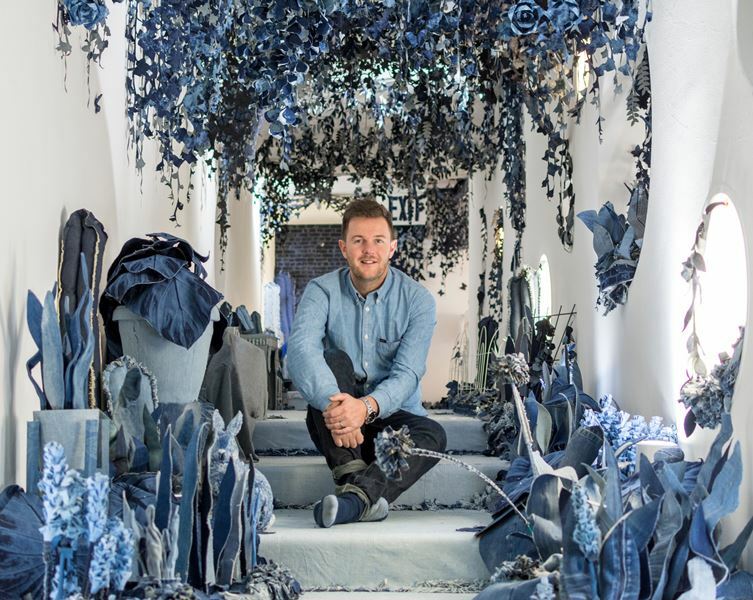 Also the help from NYC factory, BPD dyehouse, Carey Tricia at Lenzing and Christine Rucci helped Ian Berry to accomplish his latest denim project The Secret Garden. The mission of the Children’s Museum of the Arts is to introduce children and their families to the trans-formative power of the arts by providing opportunities to make art side-by-side with working artists. As you go to the museum you see Ian’s work in the window. A piece titled Behind Closed Doors and it is behind the doors that you start to see the garden taking over the museum. In the entrance, you can look up and see the trellis through the windows and plants growing wildly through the museum. The Bridge project was a huge challenge and took two weeks to install. Ian spent a night in the mseum too, working overnight in time for the show to open. And all the effort paid off with the crowds stunned by the work. 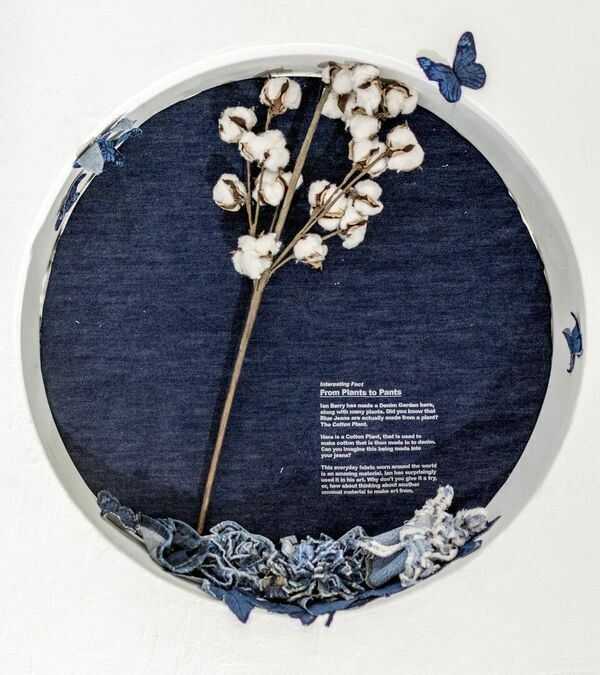 A nice touch was at the opening of The Secret Garden show, when Ian displayed a cotton plant, and explained that while the kids are seeing denim plants, that denim itself came from a plant. The kids will do work inspired by Ian’s work, in a museum that boasts 130,000 visitors a year including many celebrity parents. The Secret Garden will be on display at Children’s Museum of the Arts until April 2018. 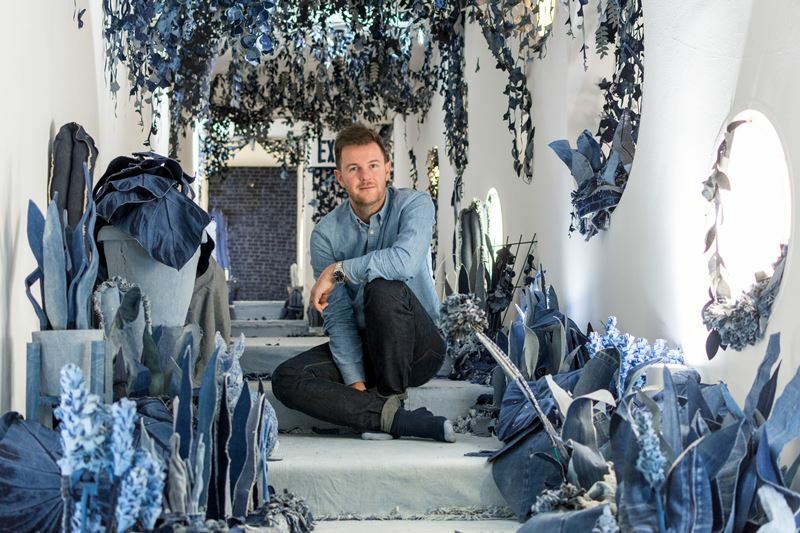 Ian Berry is an artist who works specifically using denim to create his unique pieces. 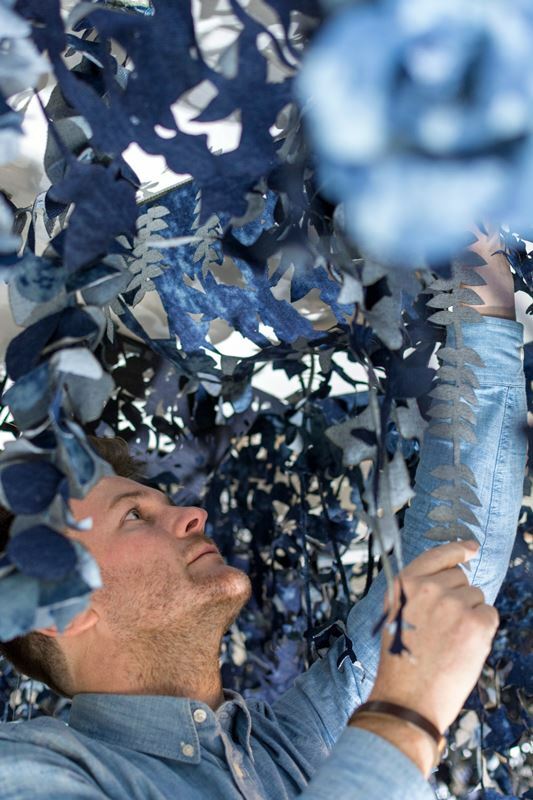 He has worked with denim for the past 10 years; at first glance many believe that his work is either a photograph or painting. After a close look at his work you will see all the details within the piece, becoming aware of the depth and texture through the use of jeans with washes and fades, helping him to create his fluid, painterly tone. Ian Berry his work has lead to him being named as one of the leading top 30 under 30 artist in the world. He has worked on commissioned portraits of Debbie Harry, Jennifer Saunders, Giorgio Armani and Ayrton Senna. His work has been seen in many countries, giving a chance for people to see the work in person. 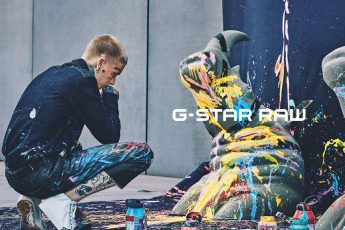 With a number of sell-out solo shows in London and Sweden, he has also shown across Europe and the States, including the home of the modern jean, San Francisco. It has been written about in major mediain all corners of the globe. Jaw droppingly wonderful. What a fantastic way to inspire creativity in children.